Now, who could have thought that Venice exists in the heart of a desert like Doha, Qatar? 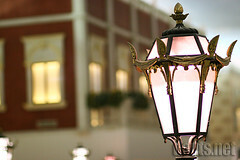 This is Villagio, a mall located near Hyatt Plaza and the Khalifa Sports City. The interior design is undoubtedly that of Venice as you can see in the movie Casanova, except of course for the modern business stores surrounding the small river. Visit Deuts Gallery for more pictures. Hope you like my photos. Please leave comments there as well. In this post, and maybe some more in the future (that’s why the 101, because there might still be 102, 103, and so on), I would like to point out some singularities of living in Qatar. Some of these may not be particularly unique only to Qatar, but as it is different compared to my beloved Pilipinas – anyway, I’ve only lived in these two countries so far. Camels – being a desert country, I thought I would see a lot of camels around. However, this is not the case. Instead, you only see camels as exhibits in certain places. As a matter of fact, camels were already replaced by Land Cruisers on the road. Roundabouts – this country is just simply full of roundabouts. You’ll see them almost all over Doha, the capital. Did it help ease out traffic? Well maybe before, but not now with the volume level of cars and trucks swarming the city. Drainage System – obviously because of the scarcity of rain in this country, government failed or maybe just simply ignored provision for drainage system. Street Names – from the looks of it, every street has a name. However, if you ask people about the street names or mentioning the name to a taxi driver, they wouldn’t know. They’ll just give you a blank look. Obviously, they don’t know the names. Even the major roads like the C-Ring, D-Ring, etc., they are not familiar with. You’ll have to rely on the use of landmarks if you want to go from one place to another. By the way, all offices and houses have PO Boxes. That’s where postal mail will reach you. Construction Everywhere – wherever you go in the city, you’ll encounter construction going on. What’s annoying, though, is that in some cases it seems like eternity before construction is through. Just take for example the construction at the side of the road of the Toyota Tower (Al Abdulghani Tower), at the corner of C-Ring and Airport Road, since we arrived here more than 6 months ago, the construction is already going on. Until now it’s not yet finished. A friend even suggested before that it should have been finished before the start of the Asian Games, but now Asian Games is long way over, and it’s not yet done. Foreigners outnumbering the locals – going around the city, it won’t take long for you to realize that indeed foreigners outnumber the locals. Qtel – apparently they are the only telco in the country, providing telephone, mobile phone and internet connectivity. I’m just glad we already have our ADSL connection (at last! ), at least I had a break from waiting long minutes over the phone for the customer service representative to pick-up, while you don’t really have a ground at which you can voice out your feedback about their service. Well, so far those are my collection. If you are also in Qatar or maybe have been here and you want to add on the list above, just leave a comment below. More pecularities to follow as I encounter (and take note of) them in the future. Many bloggers are just whining about the list of registered voters in the National Capital Region being published in the internet. You can see the list here. The issue is that the list contains the full names, registration numbers, birthdays, and complete addresses of the registrants. They claim that it’s a violation of the right to privacy. What do I think about it? Well, I think so, but anyway, I’m not registered in NCR. But I did see the names of my aunts and cousins. What about you, did you see your names in there? Update: It seems that they have already brought down the pdf files from the server, and as such it’s not accessible anymore. Update: Yes, Comelec takes down online voters’ list. Read the news here. You might have not noticed but we’re celebrating the 486th year of the discovery of the Philippines. Until they saw a small Limasawa island. The Tigbauan church was just featured in Explore Iloilo. This is not the first time that Tigbauan was featured in that site. But this time, the pictures are just simply awesome! I wanted to repost some of the pictures here, and I hope the people from Explore Iloilo won’t mind. Anyway, it has watermarks on it. I really encourage everyone to visit the site and explore the beauty that is, Iloilo! They’re actually the Zigzag Buildings located near the West Bay area here in Qatar. The place is near the Ritz Carlton Hotel, where my client is also constructing another hotel. We went there for a site visit and inspection. Just as I am overwhelmed by our ADSL wireless connection, I would like to spread some links that you may find useful. An old news of former FIDE president, a Filipino for that matter, Florencio Campomanes, had a car accident. Here’s the news on how he celebrated his 80th birthday at the hospital, and also a lookback at his legacy to world chess. (read article). Truly a pride for Filipinos. For those who are fortunate to have access to youtube, just wanna share this superman comedy, starring Hugh Jackman and Will Ferrell. The video would serve interesting for superman fans as well as smallville fans. One can learn photography by describing what are brilliant photos. Here’s a collection of them. Warren Buffet, the second richest man in the world (next to Bill Gates), was interviewed by CNBC. A summary of which you can read here. Quite inspirational, huh. At long last, we now have our wireless internet connection. After 6 months and 7 days stay here in Qatar, we have our wireless internet from Qtel up and running. That is, after waiting for 1 month till we found a place to live in, another month for our residence permit to be issued (residence permit is the primary requirement to transact with Qtel), 3 months till we get our landline installed (also by Qtel), one more month till we have our internet connection installed, and 3 days till we get our wireless router into running. Whew! It’s a Creative Broadband Blaster Wireless ADSL 8426. Thanks to Sandro for the help! It was very generous of you!